The Inkatha Freedom Party (IFP) has welcomed the arrest of Newcastle mayor Ntuthuko Mahlaba in connection with the murder of ex-ANC Youth League Wandile Ngobeni. "We commend the police for working tirelessly to apprehend those suspected to be killers," IFP spokesperson on community safety Blessed Gwala said in a statement issued on Saturday. "Once again the IFP reiterate it's call that the ANC must do the right thing by ensuring that all its mayors accused of killings are put on suspension with immediate effect pending the investigation." Mahlaba, who was sworn in this month is also the chairperson of the ANC's Emalahleni region. 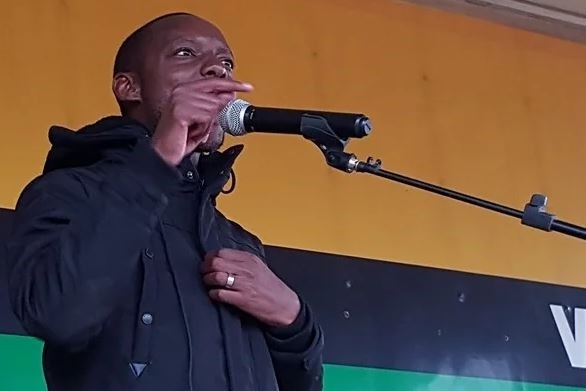 The arrest comes days after Harry Gwala District Mayor Mluleki Ndobe’s apprehension for the murder of former ANC Youth League (ANCYL) secretary Sindiso Magaqa. Ndobe, 44, Sbonelo Myeza, 39, Mbulelo Mbofana, 34, and Zweliphansi Skhosana, 48, appeared in the Umzimkhulu Magistrate's Court on Tuesday on a count of murder and two of attempted murder. Ndobe, who is third on the ANC's provincial list, did not plead and the matter was postponed to March 25 and 26 for formal bail applications. Umzimkhulu councillors, Nonsikelelo Mafa and Jabu Mzizi-Msiya, sustained gunshot wounds on the day of Magaqa's murder. "It is an insult to the affected communities to allow the accused mayors to continue serving our communities with dark cloud hanging over their heads. Our communities don’t deserve to be led by suspected criminals," Gwala said. ANCYL KwaZulu-Natal provincial secretary Thanduxolo Sabelo said Ngobeni was killed in 2017 when he and other members of the regional youth league leadership had been at a restaurant after a meeting. The group was ambushed, Sabelo told News24. Ngobeni died at the scene while the regional secretary suffered serious injuries but survived. The others escaped unharmed. Ngobeni and others thought to have been killed in political assassinations were murdered in carefully considered, well-planned hits, Sabelo said. He hailed the work of the Hawks task team probing the unresolved cases, urging them to continue to arrest without fear of affiliation or social standing. "We expect no member of the ANC to support any of those accused of political assassinations. They must be removed form their positions and replaced with immediate effect,” he insisted. Sabelo maintained that he "without fear of contradiction" welcomed the arrest of both mayors. "We have no sympathy for anybody involved."